I can tell it's summer in Atlanta when I see waves on the pavement and there's a stickiness in the air. For a brief moment, life slows down. I can never decide if it's the heat that makes life move slower or if it's a chance to appreciate things more. I can tell it's summer when an extra cube of ice is added to my sweet tea. In the summer, complicated routines become simple--no busy school or activity schedules, clothes are comfortable, even my makeup and skincare changes. I know a lot of us are like that, and not just in the summer, but always. We know we need to take care of our skin, but we want everyday skincare that is gentle and kind. Cetaphil is perfect. It works for the most sensitive skin--many of you have been recommended this over the years by me. Here's what I do: I use Cetaphil Daily Facial Moisturizer, which has SPF 15. I have dry skin that needs hydrating no matter the temperature. But in the summer I cannot stand feeling sticky or greasy from lotions. I use the Cetaphil DailyAdvance Lotion. There's a reason why it's recommended by more dermatologists and pediatricians than any other cleanser and moisturizer brand. Then, to wash away the day, I use the Cetaphil Daily Facial Cleanser. It leaves skin clean, but not stripped, gentle and #Beautiphil. They also have Daily Face Cloths for Men. 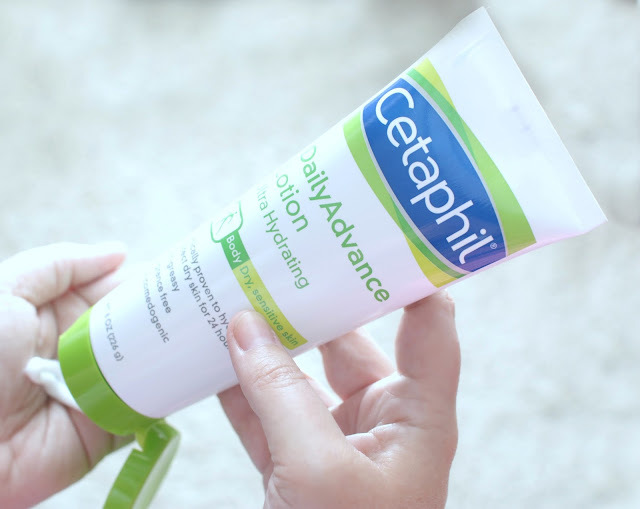 You can find Cetaphil at drugstores and other mass retailers. 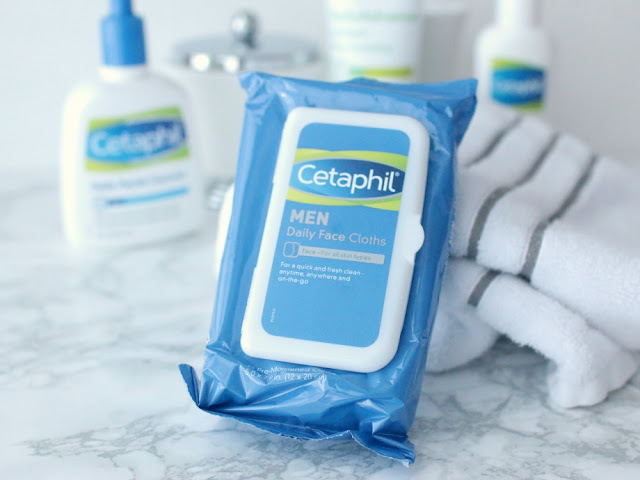 Save up to $4 on Cetaphil now! How do you feel Beautiphil? My dermatologist recommended Cetaphil way back when and I have been using it ever since! I find the face wash to be a little harsh, so I stick with the Gentle Cleanser. I switch up my cleaners a lot but always go back to Cetaphil! I've never tried their moisturizer and need to check it out! Cetaphil has always been one of my favorites, and I swear by the moisturizing body lotion. I will have to check out these new products! I absolutely love Cetaphil - I've used it for years and years! I know Cetaphil is good because my doctor has recommended it in the past. Great post! i love cetaphil. i use the cleanser in the shower daily. the best! That lotion is what my hubs uses for his sensitive skin. I need to try their facial products. Thanks for the coupon! I haven't tried Cetaphil, but I've heard great things! It is so hard to find good spf for your face that isn't greasy! I definitely feel beautiful when I know I am protecting my skin! I use Cetaphil cleanser and I like how gentle it is on my skin. I feel beautiful when my skin is clean and clear! Gentile products is what we all need, glad you find proper products. Oh, wow, that's a great giveaway, good luck for the participants. The Cetaphil Daily Facial Cleanser is such a classic and tried and true product. Definitely a good one for sensitive skin. I still remember when my derm recommended it years ago. I have a friend that swears by the Cetaphil Daily Facial Cleanser. I wish I could join the giveaway :) Good luck to everyone who participates! I've always really liked Cetaphil brand. It really does make your skin so soft! I've never tried Cetaphil products...but I hear so many great things! I think I might have to give them a try once I run out of my products. I have some Cetaphil lotion on my nightstand right now! I love that it doesn't leave me feeling super greasy! I really like Cetaphil's Derma Control products. I've tried both the cleanser and the moisturizer with spf, and both are what you would expect to get from Cetaphil. They make great products! I feel beautiphul because my skin is free from acne. I feel #Beautiphil by using moisturizer more often in the summer months. Cetaphil was my jam in high school and college when I suffered with acne, only thing that would not break me out! I always feel more beautiphil when I moisturize! I have never tried this product but know a lot of people who love it. I feel beautiphil when I put on some bright accessories and a fun summer dress! I love cetaphil products! They work really well with my skin. I always feel beautiphil when my skin is clear! I feel #Beautiphil after moisturizing and applying some light contouring makeup. I'm a huge fan of cetaphil! I use the gentle skin cleanser on my face and I love it. The daily face cleanser made my break out, but I prefer the gentle skin cleanser because it had less ingredients in it! It will probably always be my HG face wash. I need to try that moisturizer though! I've been using the Cetaphil cleansing bar of soap on my face for probably over 10 years and I swear by it. (It's not your typical bar of soap). Had no clue they had facial wipes but my husband uses the soap too so he would love those wipes. I feel beautiphil by making sure my skin is soft and clean and making sure I drink a ton of water and eat my veggies. 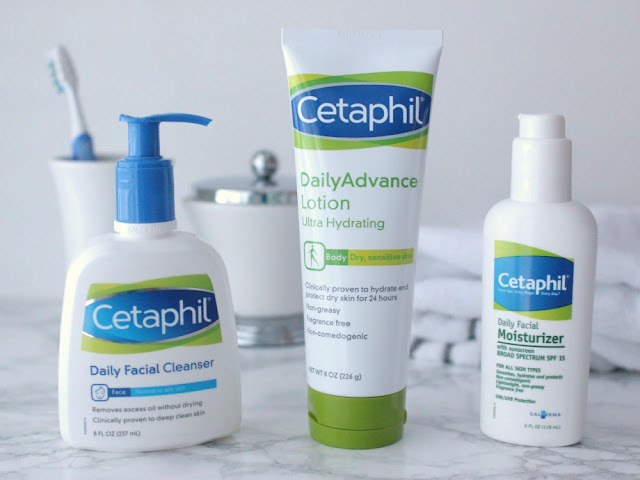 Caetaphil has always been one of my favorite skincare brands! I didnt know they had a mens line! feel Beautiphil when I take care of myself and use good products like Cetaphil on my skin. I have been using Cetaphil for years. I also feel Beautiphil by spending time with my husband and kids!! Little Tyke has eczema on his feet for the longest time and this brand was the one that finally cured it. It's seriously amazing! We also tried CeraVe which was much pricier but it made it worst instead of better so finally we stick with Cetaphil. I've never tried Cetaphil, but I've always heard great things about the brand. It's hot here in NC too and I'm over it! I feel Beautiphil by taking care of my skin. Always apply sunscreen and cream to keep my skin soft and clean. I love Cetaphil, I tend to stray away and try new things but I know I can always come back and it is never disappointing! I find my and feel #Beautiphil by simple. clean skin care and diet: daily sunscreen, a moisturizer, clean eating, and lots of water. I've heard from others too that Cetaphil is great...I might need to try it, I want to be #Beautifil! I feel Beautiphil when I eat right, stay active, get enough sleep and put on a cute outfit. I feel beautiphil by making sure I drink plenty of water and applying moisturizer to keep my skin healthy. I love Cetaphil skin care. It is very mild on the skin yet manages to keep the skin soft and smooth. I feel beautiphil holding my daughter and reading to her! I've never tired it but am open to new cleansers! I've heard great things and the users always feel "beautiphil"
I feel beautiphil when I think about all the changes my body has been through in the last year (pregnancy and giving birth)! I feel beautiful when I exercise. Nothing feels as good as pushing my body and knowing I am getting strong for myself and my family. I find my beautiful when I wash my face every night! the cleaner I am, the better I feel! I feel beautiful when I take care of my skin. Wash my face daily and moisturize both day and night. Thanks so much. I feel Beautiphil when my skin is clean and clear. As a runner that sweats a lot I've found that Cetaphil keeps my skin clear while not drying it out. I feel beautiphil when I take long walks. The Cetaphil Daily Facial Cleanser is a great product and I have used it on and off for years. I love how it makes my skin looks and feels. I feel beautiphil when I get to pamper myself with a mani pedi. Many years ago my dermatologist recomend Cetaphil and I have been feeling beautiphil since. I feel #Beautiphil by exercising daily. I feel Beautiphil with a good nights sleep and a good hair day. I feel beautiphil when I can get up and go for a walk in the morning! I feel beautiphil when I put on a new outfit! I feel Beautiphil when I am smiling with friends and family. I feel Beautiphil when I can leave the house without makeup because my skin looks great. I feel beautiphil when I have a positive attitude, give back by helping others and a good hair day. to take care of me along with taking care of my family. I feel beautiphil when I'm well rested and ready to meet the day with enthusiasm. I feel Beautiphil when I dress nice. I feel Beautiphil by taking clean and working out. & watching my sugar intake each day- Plus I quit smoking cigarettes earlier this year!